Shergarh Tented Camp is set amidst picturesque surroundings of woods near the lake in the southern end of the Kanha National Park. The creation of Jehan Bhujwala and his English wife Katie, Shergarh is an exclusive camp with tented accommodation. Shergarh Tented Camp features 6 snug and appropriately furnished tents that provide utmost privacy to the guests. Each tent has a large porch and attached bathroom with hot shower facility. The tents have thatched roofs that are watered in summers to give respite from the high temperatures. Shergarh Tented Camp, Kanha offers Indian and Continental food prepared from vegetables grown in the kitchen garden, local products and fresh fish from the lake. 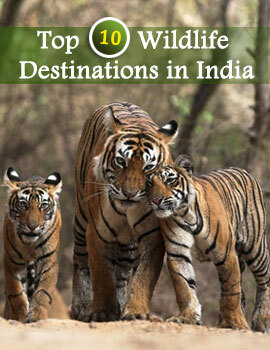 Enjoy jungle safaris to the Kanha National Park, nature walks and bird watching. The library at Sherbagh offers a hoice of reading material. The nearest town to Shergarh Tented Camp is Mandla. The nearest airport and railway station are at Jabalpur. The park is entered from either Khatia-Kisli or Mukki. Frequent state transport buses ply between Jabalpur and Kanha National Park.